Dean Rob Widing invites you back to campus to celebrate Case Western Reserve University's Homecoming, September 26-29, 2013. Be one of 18 alumni to get 10 minutes of one-on-one time with a successful alumna/alumnus or faculty entrepreneur mentor from 5 - 5:30 p.m. All alumni are invited to join us for the full networking event starting at 5:30 p.m.
Our panelists will share insights about what drives innovation and entrepreneurship. Henry Mintzberg, Cleghorn Professor of Management Studies at McGill University, will present the keynote address as we launch the new Department of Design & Innovation at Weatherhead. Henry Mintzberg appears today in the Keithley Integrated Lecture Series through the generosity of Joseph P and Nancy F. Keithley. Joe Keithley, a university trustee, created the Keithley Innovation Initiative to advance a campus culture at Case Western Reserve that encourages the transformation of compelling concepts into commercially viable enterprises. CWRU's newest Generation of Stars, a showcase of successful alumni under 30. 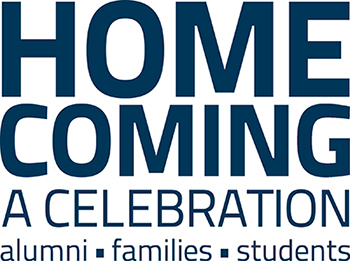 View the full Homecoming Weekend schedule and RSVP here! You must RSVP to attend. Last year more than 2,500 attendees—including nearly 1,100 alumni, 500 family members and hundreds of current students, faculty and staff—celebrated Homecoming. If you are interested in gathering classmates for your reunion year, please contact Cheryl Lauderdale at cheryl.lauderdale@case.edu or 216.368.5101 to be listed as a Homecoming Host and assist us in planning a fun and memorable weekend!